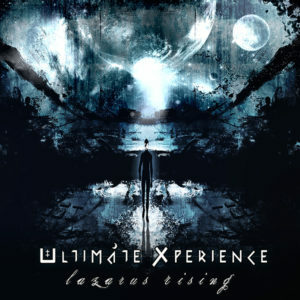 Neogoa Records is proud to present the long-awaited new Ultimate Xperience (UX) release Lazarus Rising featuring new productions by this legendary psychedelic trance act. This conceptual mini-album is the introduction for the upcoming Ultimate Xperience double-CD album, The Realm Of A New Dawn, which will include most of the music from this release and should come out sometime in early 2017 under the Neogoa Records banner. Kris Kylven, the mastermind behind the project, put a lot of effort and time into making this release possible. Here he introduces a new vision and direction for the project, an important and vital part of the Goa trance scene with vast experience and knowledge spanning two decades. Now, Ultimate Xperience is ready to take one step further and present this music to the world in the best possible fashion! MP3 Download | FLAC Download | WAV Download · Download count: 25,314. YEAH!!!!! This is insanely good! WOW! <3 Thank you so much for this! Quite strong release, the last track is my favorite one. Sometimes it sounds like a Goa but mostly it is just good Full-On & Progressive music. Still 5 of 5 stars. P. S. It is strange that another release of UX isn’t presented in “Related Downloads” – “Ultimate Experience Reloaded”. That’s one of my favorite GOA albums. Also I would relate “The Faithealers – Until The End Of The World here” here, as of Kris Kylven participation in this project. 8th comment! Again!! Number 8 was/is lucky number for me! Maybe!!! No doubt Ultimate Xperience is best my FULL-ON,GOA’s experience until now & until today :) Doubtless! This is one truly exceptional album! Keep on good work! Kris K — Any chance that you could convince Anjuna Records to let Ektoplazm distribute the UX-Audissey album too? It’s basically unavailable at this point. Kris Kylven: I’m into psychedelic sounds since 99 I don’t know how your work and other collabs slipped through my net so far. I’ve just came across them recently. Faithealers and UX are both amazing projects. I’m still digging through the other aliases and collabs and mates etc. This is an absolutely amazing album instant favourite. Masterclass at it’s best. Threw me back to 90’s when each goa album was a new exciting journey. not like nowadays when most (well quite big part) of the psy/goa/whatever producers seem to follow the same (self repeating & predictable) standard sounds and can not see outside of the box. One of the best album in 2016. For what it’s worth, I stopped paying attention to nitzo/neogoa 3-4 years ago when it all started sounding exactly the same. There’s no variety as it was in the nineties. Wow every track has it’s unique start of a wonderful journey, I’m more into DT and Prog with a pinch of GOA in the mix. This Release takes the stuff to next level, Perfect layering of the music and the true Full On with Prog makes it real fun, & As -Usual NeoGoa WP. Would it be ok with you to use a song for a non-monetized video on YT… btw great work… if not it’s ok. Reminds of the intro of..
Wow, I thought I wasn’t into psytrance anymore apart from the dark stuff, but this is simply amazing! New style, new production. Ty god it`s not classic neogoa. Time to move on ppl… This is goa now! In the end : Lazarus Rising is Great releasing in FULL-ON, GOA Genre, Doubtless!! Big One!!! Big one!!!! Mister Kylven rocks it and still do it propper!!! !too many elements raped by pop-psy scene idd, but on this one Sensei gives a good lesson to all of us!! Deep psychedelia straight from the source so well said and structured!!!!!! Cant actually seperate fav tune i can say though that Kingdom of Heaven takes me higher with this enormous build up!!!!!!!Amazing!! !What to say…Just a thank you and a loooooot of thoughts when i dive to this!!! Big ups Ekto for this one!!! And offcourse a big thank you to you Sir <3 Keep it up!!!! Hi there. You guys are one of my (recently discovered) favourite electronic acts up there with Juno Reactor. Highly cinematic and the exact kind of “experience” I’m after – keep making this sort of music because you have a definite audience. LOVE this! I’m really new to trance and I’m so glad I found this site. Awesome work! Each track is just amazing! Thanks so much!! 24-bit 192 kHz! Available!? Where!? How!? Just with wav format! Please some information about that!